Seaman Reservoir feels like a "hidden lake" because you have to know about its existence and go on a little hike to get there. Once you climb that last hill... suddenly there it spreads out in front of you. Seaman Reservoir is about 15 miles north-west of Fort Collins, Colorado. It belongs to the much more distant town of Greeley. It's fed by the North Fork Cache la Poudre River, which flows into the Cache la Poudre River shortly after getting through the reservoir. 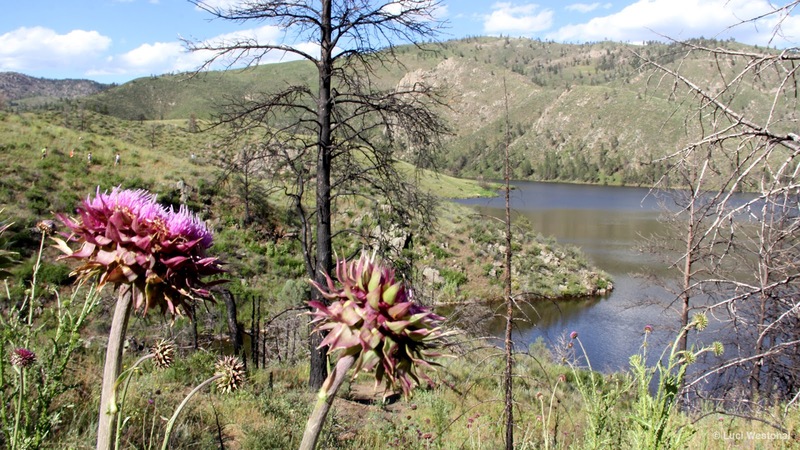 To access the hidden lake, you first get to enjoy a drive through Poudre Canyon, then enter Gateway Natural Area and hike about a mile, including some elevation next to the reservoir dam's waterfall. 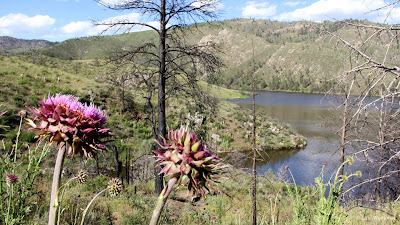 That last little bit of hiking is rewarded by the view of the expansive reservoir and surrounding hills. There usually aren't too many people and no noisy boats. You may see people cliff jumping at Seaman Reservoir; but please keep in mind that in 2015 a 22-year-old man died in the process. There's only one hiking trail along the west side of the reservoir. The east side is not accessible, except during hunting season. Non-motorized water crafts, fishing and swimming are allowed. The featured song is the instrumental version of “The Parade” by Josh Woodward (JoshWoodward.com). This song is licensed under a Creative Commons Attribution 3.0 US License. Thank you, Josh!